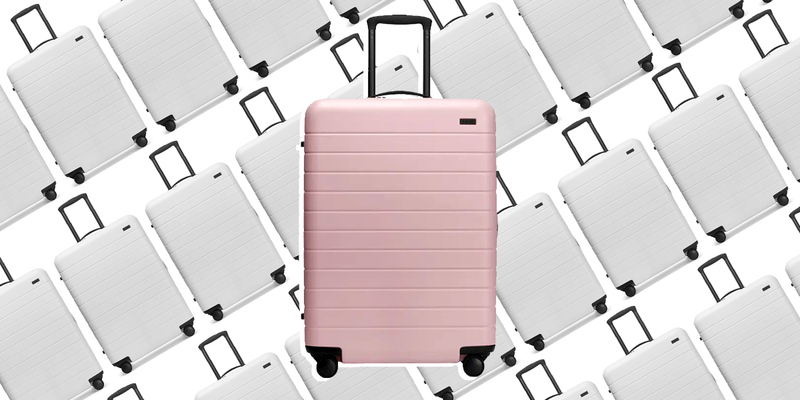 After numerous trips, much trial and error, and several meetings at “Over-Packers Anonymous,” we’ve learned all the best ways to maximize space in luggage. 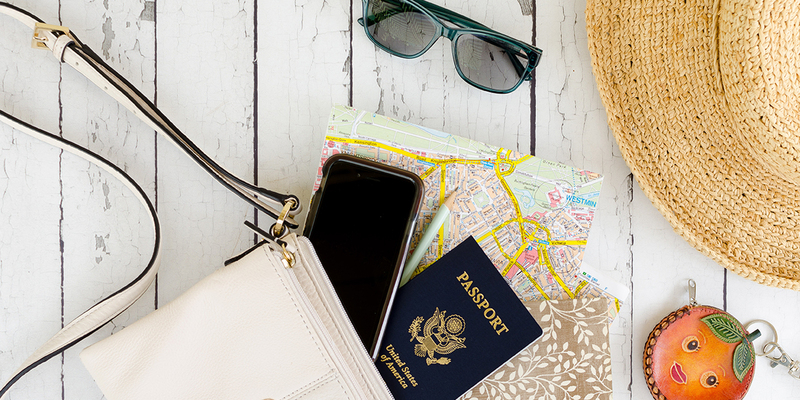 Whether you’re a checked-luggage traveler, carry-on only, or a backpack devotee, you’ll still want to save space for souvenirs or possibly a bottle of duty-free booze. (Hey, we won’t judge!) So here are our tips for how to pack to make the most of the luggage space you’ve got. Get ready to become a packing-cube convert! These can turn an over-packer into a minimalist overnight, as they’re both a great space-saver and clothing-organizer. Cubes come in a variety of shapes and sizes. Using them also gives a visual for how much you can bring. If it doesn’t fit in the packing cube, it shouldn’t be in your suitcase. Use a large packing cube for all clothing, and then a smaller one for bathing suits or workout or hiking gear. Some offer a zippered compartment on each side, too, which is great for separating dirty clothes with day-two funk. You’ve planned everything else on your trip—why not your outfits? Before stuffing random shirts in your bag, scribble down the outfit for each day (or lay them out on the bed). 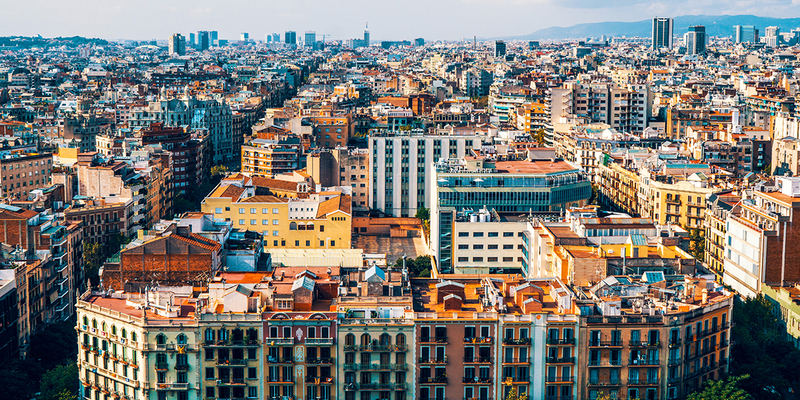 Once you’ve mapped out what you plan to wear while hiking or dining out at that Michelin-starred spot, you won’t have to stress about what to wear while traveling and your suitcase won’t be bulging with “options. You have our permission to repeat outfits, especially if you’re going to a colder weather destination. (That double-ply cashmere can be bulky!) Opt to wear a sweater during the day with a blouse under it for evening. Voila! You’ve just dressed up a bit without packing another bulky item. 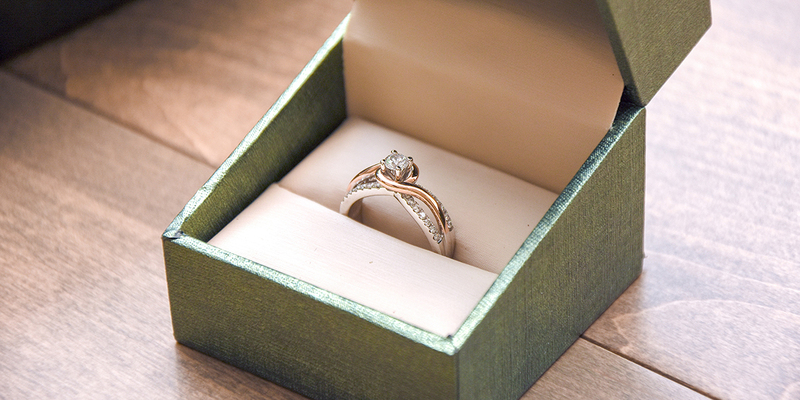 Say it with us: The roll method works. And if you’re using those life-changing packing cubes, rolling makes them even more efficient. 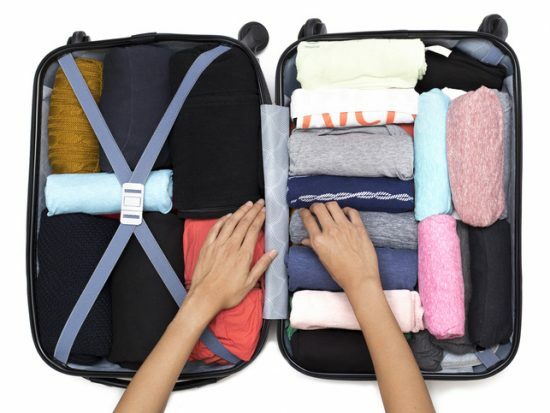 Rolling clothes limits wrinkles and saves space. We like to roll our pants and use them to outline the inside edges of a packing cube, creating a border and a sturdier cube. Then roll shirts and place them in the center. However, folding longer items like a maxi dress make sense so they lay more flat and don’t disturbed the rolled items on the other side of the cube. All those favorite sprays, spritzes, and creams—it’s hard to leave them behind. But your hotel will likely have the basics, so keep that shampoo and conditioner at home. For all the rest, ditch their bulky bottle. Use three-ounce silicone travel bottles when possible and don’t top them off to the brim. Just fill what you think you may need for a few days. (Trust us, you don’t need a whole bottle of “hydrating essence.”) You can also put makeup or moisturizer in an old contact lens case, and small jewelry can fit in an old mint container. Heading to a cold-weather destination? Wear that giant sweater on the plane. Airplanes are colder than a walk-in freezer anyway, so you’ll want to bundle up for your flight and have warm clothes handy when you land. 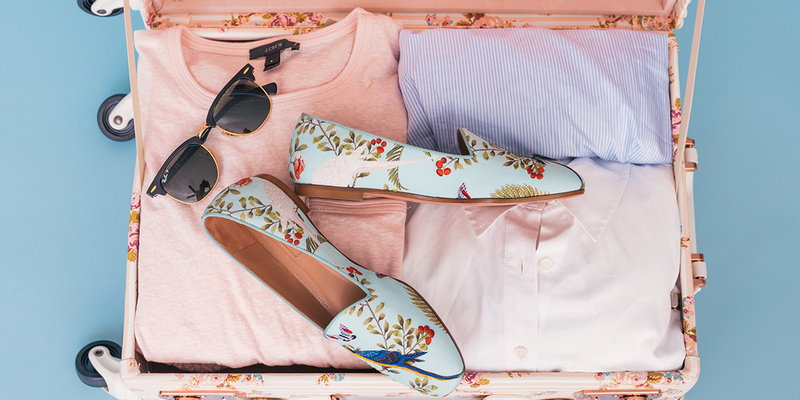 Wearing jeans while traveling isn’t always the comfiest option, but your suitcase will thank you. And flip flops take up almost zero space in a bag so throw those in your luggage and wear sneakers or boots while traveling. We love our gear, but often times it’s the biggest space hog in our luggage. Keeping your cords, chargers and accessories organized (not just thrown in at the last second) will go a long ways to maximizing space in your bag. Use a sunglasses case to store cords, earbuds, and chargers. This makes them easily accessible when you need them so you won’t be digging into the abyss of your giant purse. Gear ties are also helpful in keeping cords wrapped tight and organized. They’re bendable, flexible, and can fit around any cord. The result? More space in your bag for important things, like shoes. No duh, you might be thinking. But how many times have you thrown your toiletry bag in last on top of everything else? Place shoes in the bag first, then heavier toiletries, and then because all of your clothes are neatly rolled and packed nicely inside your packing cubes, you can just toss those in last on top of the rest. That suitcase will zip up no problem!